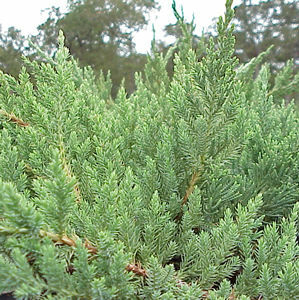 Creeping Juniper is low growing prostrate form of Juniper with gray-green foliage. This Juniper is seen with many names, among them Juniperus prostrata and Juniperus horizontalis. Prostrate Juniper can get up to 12 inches in height and will spread as large as you let it.